ROCKING OUR CITY AT GRANDWEST Cape Town performers to shine in the spotlight Date Saturday 24 November 2012 Time 20h00 Venue Grand Arena, GrandWest Tickets From R150 to R220 Booking Computicket GrandWest CSI’s entertaining variety show Rocking Our City will be staged at the GrandWest Grand Arena on Saturday 24 November. In addition to headline artists Danny K and Loyiso Bala the line up will include popular Capetonian performers to give the show a colourful local flavour. Keeping it all together during the show will be the irrepressible duo of Soli Philander and comedian Kurt Schoonraad, who need no introduction. The Cape Town contingent includes our own incredible opera singer James Bhemgee, who first shot to fame as the SA’s Got Talent 2010 winner. From singing in the streets, where he worked as a street sweeper, Bhemgee has recently released his debut CD, Vincero. Another favourite Capetonian performer who was given a spotlight in the SA’s Got Talent contest is Mady Abrahams, who was the runner up to James Bhemgee. From her rousing rendition of Whitney Houston’s One Moment In Time Mady’s vocal range has taken her as far afield as the Arab states and she has just released her debut album It’s all about you. And no celebration of Cape Town’s musical talent would be complete without the legendary Mr Zayn Adams who celebrates his 50th Musical Anniversary this year and is considered by many to be one of SA’s finest singers ever. Also sharing the stage will be versatile pianist Camillo Lombard who regularly performs with many of South Africa’s leading artists and musicians when he is not teaching aspiring musicians. Also on the bill is Jeremy Olivier, a Jazz graduate of UCT, who performs throughout South Africa and abroad as a vocalist and guitarist. His recent career highlights include singing backing vocals for George Benson and playing guitar for the Welsh classical singer Katherine Jenkins. For this and much more, don’t miss . . .
Cape Town audiences and jazz lovers especially, are in for a treat when American musicians David Sanborn and Joe Sample share the stage in Cape Town on Tuesday 10 July at the GrandWest Grand Arena. 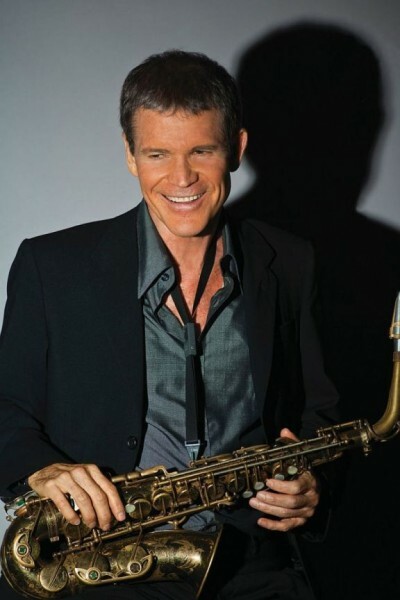 David Sanborn has been hailed by Rolling Stone Magazine as one of the greatest saxophonists of the past four decades, straddling all genres from jazz to funk, soul, pop, blues and even rock. However, he is most closely associated with Jazz, instrumental pop and R&B. Since the late 1960s this multi-award winning musician has performed with musical greats from all genres such as James Brown and Stevie Wonder to Bryan Ferry, Eric Clapton, Bobby Charles, Cat Stevens, Roger Daltrey, Paul Simon, Michael Franks, David Bowie, Kennie Loggins, Bruce Springsteen, Tommy Bolin, Bob James, James Taylor, Al Jarreau, Kenny G, George Benson, Joe Beck, Donny Hathaway, Elton John, Gil Evans, Carly Simon, Guru, Linda Ronstadt, Billy Joel, Kenny Garret, Roger Walters, Steely Dan, Ween, the Eagles, Toto and even iconic group The Grateful Dead. 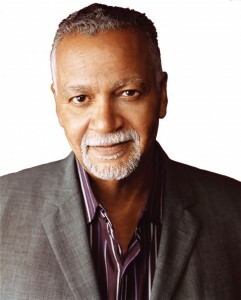 Pianist and composer Joe Sample has been an integral part of the jazz genre over the past 40 years. A pioneer of contemporary jazz piano, Sample uses the original sources of jazz and soul to create his personal interpretations of classics by renowned jazz composers such as Scott Joplin, Jelly Roll Morton, the Gershwins, Al Jolson, Duke Ellington, Fats Waller and many more. His own classics include ‘Soul Shadows’ and ‘Spellbound’. Sample has toured and performed with many well known musicians from Marvin Gaye to Tina Turner, BB King, Eric Clapton, Joe Cocker, Randy Crawford, Anita Baker, Andrae Crouche and many more. The show starts at 20h00 and tickets are available from Computicket between R200.00 and R450.00. More Info: Author: Jeni Fletcher from Corporate Image. 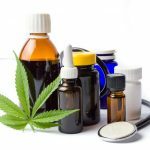 Originally distributed by MyPR.co.za. No of Images Uploaded: Two To gain access to Two image/s please Like, Tweet or +1 this article: [l2g] Images: David . . .
Electro Sounds LIVE with Mi Casa, GoodLuck and Crazy White Boy Date Thursday, 12 July Time 19h00 Venue GrandWest Grand Arena Cost R175.00 Tickets Available from Computicket or at the door Celebrate the end of the holidays with fresh electro sounds at GrandWest Grand Arena on Thursday, 12 July. Performing at the show will be soulful-house band Mi Casa, fresh from their award-winning success at the 2012 SAMA’s. The band’s debut album has attracted critical acclaim and the track These Streets continues to dominate the charts. Joining Mi Casa on stage will be local electro-swing and dance band GoodLuck with jazzy melodies such as Hop on Hop Off, and funky “electronic musicians” Crazy White Boy who first achieved success with Love you Better. They received a SAMA nomination for Record of the Year before even having produced the album. The party starts at 19h00 and tickets are available from Computicket and or from the door at R175.00 each. More Info: Author: Jeni Fletcher from Corporate Image. Originally distributed by MyPR.co.za. No of Images Uploaded: Three To gain access to Three image/s please Like, Tweet or +1 this article: [l2g] Images: GoodLuck Mi Casa Crazy White Boy [/l2g] . . .
HEINEKEN® and MACSTANLEY frontman, Andy Mac, have once again teamed up to bring the iconic music sensation, HEINEKEN® Symphonic Rocks to the South African music scene massive. Following the runaway success of the 2010 and 2011 event, this year’s eagerly anticipated show promises to deliver even more excitement, entertainment and, of course, pure unbridled talent. Ticket sales open this week, offering the first peak at a show-stopping line-up. HEINEKEN® Symphonic Rocks is a world class, cross-genre live music show ranging from rock to pop, adult contemporary, R&B, hip hop, electro and soul, all set against the breath-taking onstage backing of a 65-piece symphonic orchestra. The impressive list of artists this year includes award-winning MiCasa and Zahara, fresh from their successes at the 2012 SAMA’s; Tumi & the Volume, Freshly Ground’s Zolani and Just Jinjer’s Ard Matthews, all of whom wowed audiences at the show last year; as well as the soulful ChianoSky and pop-rock band MACSTANLEY, back on tour after recording their third, soon-to-be-released album. In addition, the 2012 show will also offer unique performances from the multi-award winning Van Coke Cartel and Afrikaans Rock superstars F*ofpolisiekar; electro-pop singing sensation, Toya Delazy; and finally, popular rock hit-makers, aKing. The audience can expect to hear a range of almost 30 hit songs, each painstakingly rearranged by John Walton from the Cape Town Pops Orchestra. Each band or singer will be backed by 22 violins, 8 violas, 6 cellos, 4 double bases and a harp, and that’s just the string section! Also on stage will be full woodwind, brass and percussion sections. Mac had spent six years working on the concept for the show which became a reality in 2010 when HEINEKEN® came on board. “HEINEKEN® Symphonic Rocks is a marriage between current cutting-edge music and the incredible pitch perfect depth and richness of a traditional orchestra. The collaboration produces an intensity of . . . They are all-round nice guys who love to surf. They have also sold millions of records; are known for their incredible energetic live performances during their sold-out shows and are one of the biggest rock bands around. Now, for the first time, South Africans can see the Grammy-Award winning band SWITCHFOOT live on their VICE VERSES SA TOUR. The rock band from San Diego will be taking to the stage on August 8 at The Big Top Arena, Carnival City in Johannesburg and on August 11 at the Grand Arena, GrandWest in Cape Town. 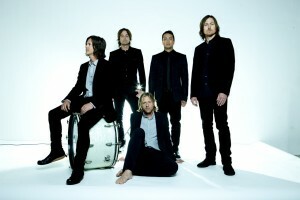 Switchfoot formed in 1994 when Jon Foreman (lead vocals, guitar) and his brother Tim (bass guitar, backing vocals) put their high school friends together - including Chad Butler (drums, percussion), Jerome Fontamillas (guitar, keyboards, backing vocals), and Drew Shirley (guitar, backing vocals). Nine albums over a decade later, they have achieved multi-platinum status, having sold over 4.4million albums and 3 million concert tickets worldwide and a Grammy Award and have a massive worldwide fan base (they currently have over 1.8million Facebook fans and over 229,000 followers on Twitter). The band has had 3 consecutive Top 10 hits on Modern Rock Radio. Their song “Vice Verses” debuted at #8 on Top 200 Billboard Charts and #5 on iTunes Top 200 Charts. Music from VICE VERSES has already been included in movie trailers and soundtracks - In Time (Ft. Justin Timberlake) and Hawaii 5-0 Soundtrack “Out of Control”. Their album ‘The Beautiful Letdown” was RIAA certified 3 X Platinum. The band has previously toured with the likes of “Dave Matthews Band”, “3 Doors Down”, “Goo Goo Dolls” and many more. SWITCHFOOT’S music has also appeared in “The Chronicles of Narnia - Prince Caspian”, “American Idol”, “A Walk to Remember”, “Life of Ryan”, “CSI Miami”, “Grey’s Anatomy”, “The Vampire Diaries”, “Dawson’s Creek”, “One Tree Hill” and the smash-hit “Spiderman 2”. With its play on words, Vice Verses, the title of Switchfoot’s new album, coherently . . . Date Sat 7 July from 20h00 Sun 8 July from 15h00 Venue Carnival City Big Top Arena - Brakpan Cost R200 to R500 Tickets Computicket Gauteng audiences and jazz lovers especially, are in for a treat when American musicians David Sanborn and Joe Sample share the stage on 7 and 8 July at the Carnival City Big Top Arena in Brakpan. David Sanborn has been hailed by Rolling Stone Magazine as one of the greatest saxophonists of the past four decades, straddling all genres from jazz to funk, soul, pop, blues and even rock. However, he is most closely associated with Jazz, instrumental pop and R&B. Since the late 1960s this multi-award winning musician has performed with musical greats from all genres such as James Brown and Stevie Wonder to Bryan Ferry, Eric Clapton, Bobby Charles, Cat Stevens, Roger Daltrey, Paul Simon, Michael Franks, David Bowie, Kennie Loggins, Bruce Springsteen, Tommy Bolin, Bob James, James Taylor, Al Jarreau, Kenny G, George Benson, Joe Beck, Donny Hathaway, Elton John, Gil Evans, Carly Simon, Guru, Linda Ronstadt, Billy Joel, Kenny Garret, Roger Walters, Steely Dan, Ween, the Eagles, Toto and even iconic group The Grateful Dead. Pianist and composer Joe Sample has been an integral part of the jazz genre over the past 40 years. A pioneer of contemporary jazz piano, Sample uses the original sources of jazz and soul to create his personal interpretations of classics by renowned jazz composers such as Scott Joplin, Jelly Roll Morton, the Gershwins, Al Jolson, Duke Ellington, Fats Waller and many more. His own classics include ‘Soul Shadows’ and ‘Spellbound’. Sample has toured and performed with many well known musicians from Marvin Gaye to Tina Turner, BB King, Eric Clapton, Joe Cocker, Randy Crawford, Anita Baker, Andrae Crouche and many more. The show on the 7th starts at 20h00 and the show on the 8th at 15h00. Tickets are available from Computicket from R200 to R500. More Info: . . . 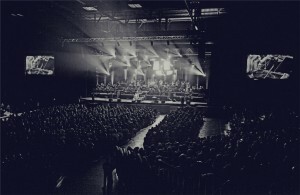 Date 22nd & 23rd June Venue Big Top Arena - Carnival City – Brakpan Time 20h00 Cost R250 – R520 Tickets Computicket All time great Engelbert Humperdinck will be performing at Carnival City on 22 and 23 June 2012. He may be 75 years old but all time great Engelbert Humperdinck is far from a ‘has been’, he has just been chosen to represent the United Kingdom at Eurovision Song Contest 2012. Best known for huge hits such as Release Me, The Last Waltz, A Man Without Love and I’ll Never Fall In Love Again, Engelbert has sold over 150 million records in the last forty plus years, including 63 gold and 24 platinum discs. 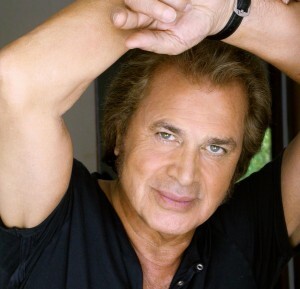 Romance serves as the core of Engelbert Humperdinck’s music and lasting success. He knows how to pick songs with eternal themes of love and longing and lovers always want to hear them sung. Through MTV a new generation of music lovers have got to know and love Engelbert’s voice and style. So come and enjoy an evening of great songs in the company of the legendary Mr Engelbert Humperdinck at Carnival City. Performances are at 20h00 on Friday 22 and Saturday 23 June 2012. 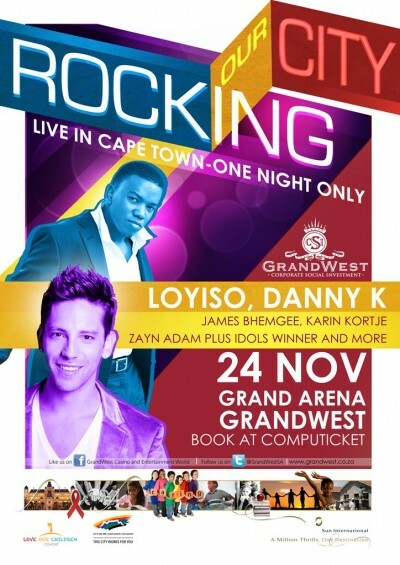 Tickets are from R250 – R520 and booking is through Computicket. 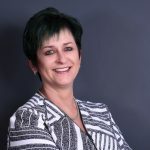 More Info: http://www.suninternational.com/DESTINATIONS/CASINOS/CARNIVALCITY/Pages/EventsEntertainmentDetails.aspx?event=carnivalCityEngelbertHumperdinck Author: Jeni Fletcher from Corporate Image. Originally distributed by MyPR.co.za. No of Images Uploaded: One To gain access to One image/s please Like, Tweet or +1 this article: [l2g] Images: [/l2g] . . .